The employees of the Department of the DMS in the Chernivtsi region took part in the events devoted to the Day of the Defender of Ukraine and the Day of the Ukrainian Cossacks. Deputy Head of the Office Valery Popov laid flowers at the graves of soldiers killed during the fighting in the East of Ukraine. Also, the representative of the Migration Service took part in the mourning rally and prayer service of the priests of different denominations. 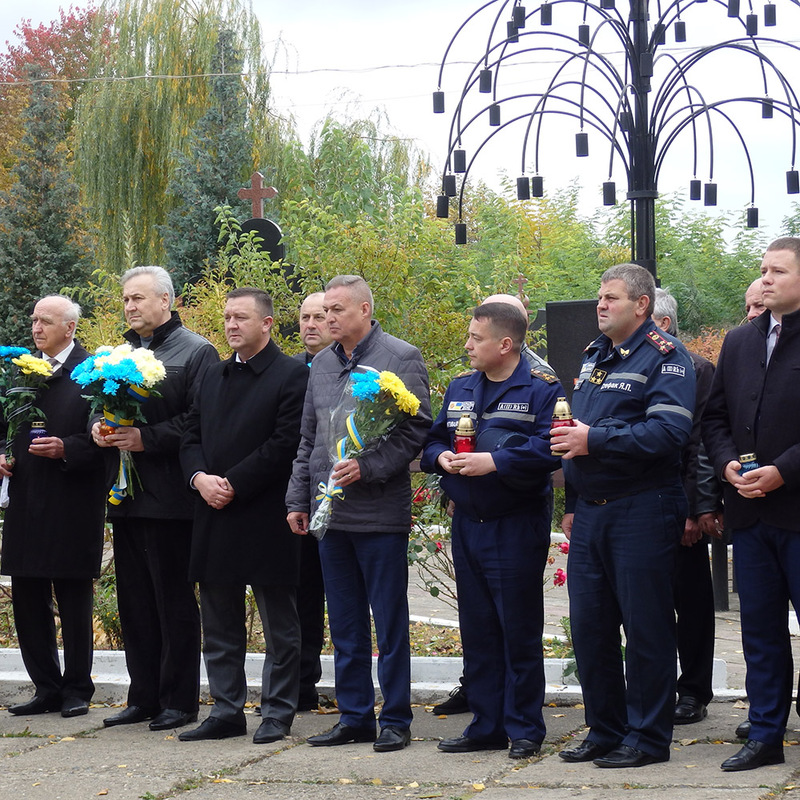 On the day of the Protection of the Most Holy Mother of God - the protectors of the Ukrainian Cossacks - the workers of the Office, together with representatives of the treasury, public activists, volunteers and military, laid flowers on the monument to the Heroes of Bukovyna Kuren.